Bodyarts Full body tattooed president? 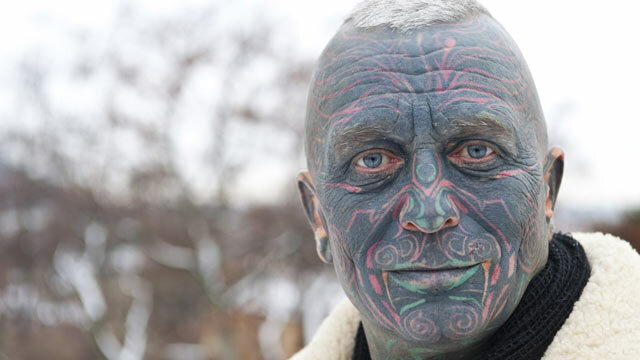 Vladimir Franz – the name of the world’s first full body tattooed president? 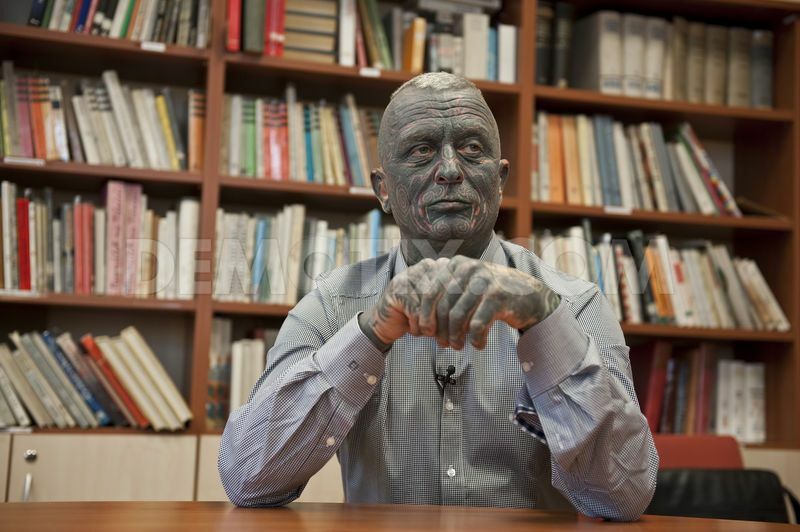 A full body tattooed opera composer, artist and drama teacher has emerged as one of the top candidates in the Czech republic presidential election, and may now be the world’s first full body tattooed president! According to the Daily Mail is a 53-year-old Vladimir Franz now third in opinion polls ahead of Friday’s and Saturday’s polls. 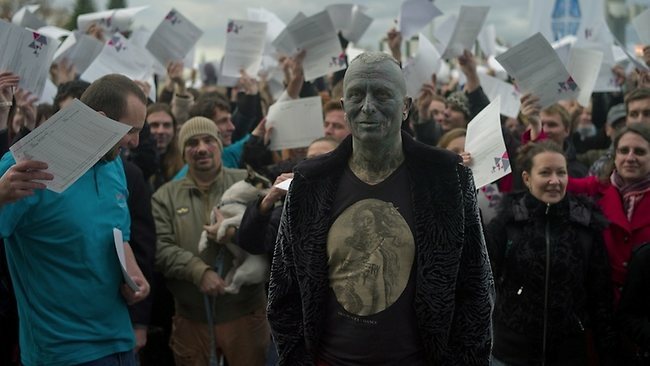 His nickname is ”Avatar.” The blue-green tattoos covering 90 percent of Vladimir Franz’s body gives him an undeniable something extraterrestrial radiation. His knowledge of economics is said to be small, but in matters of human rights, democracy and renewable energy, he has the stronger opinions. Franz believes in the European Union, but believes efforts should be made to ensure the rules don’t favor bigger countries over small ones. He also believes in medical marijuana, but that those who smoke pot before driving should be severely punished. ”My tattoos are my private little garden. They are not a handicap, they are added value.” Franz said of the markings that cover his whole head and 90 percent of his body. ”Elections are not a beauty contest. It is all about tolerance.” He can not sees it as a negative thing for a country to have a full body tattooed president. According to Global Post, Franz’s probably won’t win the election, but a third place finish would be impressive for a candidate with a meager campaign budget of $25,000 and a staff made up mostly of volunteers. Franz is particularly popular with young people, especially high schoolers not yet old enough to vote. The Guardian reported Wednesday that Franz won a mock presidential election at 441 Czech high schools with more than 40 percent of the vote. Full body tattooed president (?) Vladimir Franz on facebook!